Get into the island spirit as we celebrate the South Pacific by making two tiki inspired cocktails! 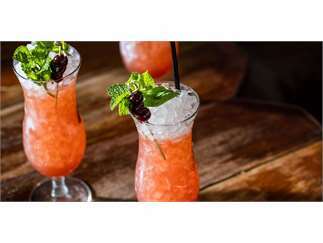 Join us as we create the classic singapore sling, followed by a test pilot—a tiki drink inspired by the legendary “founding father” of the tiki bar, Don the Beachcomber. We hope you’re thirsty, because it’s tiki time!